Editor’s note: Throughout the summer we will run a serialized version of PLAN-Boulder County’s A Transportation Vision for Boulder. This is part 2 of section 1. To read the entire paper, start with the Introduction. American cities, including Boulder, tend to provide extremely inefficient parking. That is, most all parking tends to be underpriced or free to use. Little if any parking is shared between nearby land uses (such as a church and a coffee shop). Parking tends to be excessively provided by developers, partially because of minimum parking requirements imposed by local governments. Parking requirements tend to be based on outdated, excessive requirements used in other communities, rather than a local assessment of need. As Michael Manville notes in the Spring 2014 issue of Access Magazine,when cities require parking to be provided with all new residential construction, it shifts what should be a cost of driving—the cost of parking a car—into the cost of housing. The price that drivers should pay at the end of their trips becomes a cost developers must bear at the start of their projects. Similarly, as noted previously, Donald Shoup points out that “free” parking is not free.We all pay indirectly for the car parking at a grocery store—even if we walk, bicycle, or use transit—by paying more for the groceries inside that store, because the grocery store must pay for the costly purchase of land, as well as the operation and maintenance cost for that parking.Conventional parking requirements have made excessive, costly parking provision the norm in Boulder. Such requirements induce excessive amounts of low-value car trips, make housing and office space much less affordable, induce excessive numbers of regional car trips, increase GHG emissions, reduce the amount of bicycling, walking and transit use, and make the renovation and reuse of lovable historic buildings much more costly and therefore less likely to occur. For these reasons, a great many cities have converted their minimum parking requirements to maximum parking caps because the common provision of excess parking is much more of a threat to community sustainability than the provision of too little parking.In existing and emerging town centers, to make parking more efficient and consistent with a large number of community sustainability and quality of life objectives, Boulder should convert most, or all, of its minimum parking requirements to maximum parking caps. To the extent possible, the price of parking should be unbundled from the price of housing. As Shoup demonstrates, the conventional method of bundling the price of parking into the price of housing results in less affordability. If the parking price were unbundled, the price of housing would, in many cases, be much lower. Barriers to construction of buildings on existing surface parking lots should be lowered. Employers based in Boulder should be required to provide cashout parking to employees. Shared and leased parking should be substantially increased and encouraged. It is important to note that even if Boulder reduces parking requirements in its town centers (or citywide), developers will still face enormous pressure to provide parking. Lenders usually require the developer to provide large amounts of parking as a condition for obtaining a loan. Tenants, developers, and neighbors usually insist that parking be provided. In existing and emerging town centers, parking should be located behind the building rather than in front of the building. Parking lots located in front of buildings create safety and convenience problems for pedestrians, bicyclists, and bus riders due to the distance between the building entrance and the street. In addition, front parking lots tend to increase vehicle speeds along the fronting street due to the “open, race track” feel that is created. Also, front parking lots encourage the building owner to install large, obtrusive signage in order to make the signs visible from the distant road. By pulling the building up to the street and placing the parking at the rear or side of the building, a “public room” is created between buildings, which enhances comfort and enjoyment for pedestrians and bicyclists. Parking areas located in front of buildings are unpleasant for pedestrians because they often make for hot expanses of areas to walk in, prevent the pedestrian on the public sidewalk from enjoying the building details and the activity within the building, and increase safety problems since pedestrians must dodge cars in the parking area. In addition, they prevent the building from contributing to an intimate, pleasant, comfortable outdoor room (exemplified by Pearl Street Mall). Buildings set behind vehicle parking harm the sense of place and make the pedestrian feel as if she or he is in “no man’s land.” Buildings pulled up to the street without intervening motor vehicle parking have more of a human scale. When parking becomes more efficiently provided, a problem that sometimes emerges is the very common complaint that it will lead to “spillover” parking—that is, for example, parking from a business ending up taking parking spaces in nearby neighborhoods. Spillover parking can be reduced with parking meters, a parking permit system, re-calibrating the parking restrictions at the business, having the business offer better incentives for non-car travel by employees or customers, and stepped up enforcement of parking regulations. In general, spillover parking tends to decline over time when these tactics are used. Cars consume an enormous amount of space, and surface parking lot storage of cars therefore requires a large allocation of land. Because healthy town centers require agglomeration and compactness if they are to thrive, the expanses of surface parking dead zones disperse and thereby degrade the health and walkability of a town center. Many cities contain excessive amounts of surface parking. This is partly because many property owners engage in speculative ownership of land, using parking as a low-cost holding position while they wait for the property to grow in value. Property taxation systems tend to increase the likelihood of this sort of speculation because land is typically taxed based on the value of development on it, which means the owner is punished by having to pay higher taxes if he or she develops the property. Some communities avoid this unintended consequence of taxation by adopting a land value tax in the town center, which is a levy on the unimproved value of land only. It is an ad valorem tax on land that disregards the value of buildings, personal property and other improvements. Unlike most American cities, Boulder has mostly avoided converting too much of its town center to surface parking. 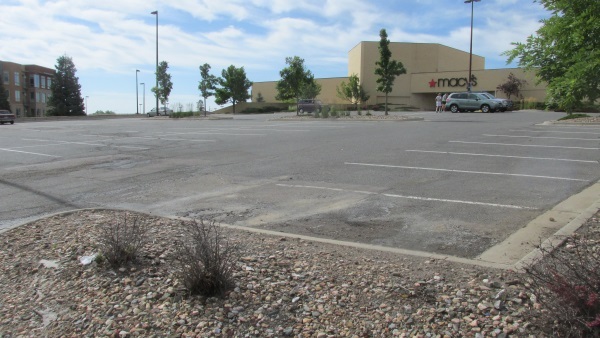 Elsewhere, however, particularly in parts of east Boulder, the city needs to minimize surface parking, and remove as many regulatory barriers as possible to the development of such low-value uses of land (which some call affordable housing for cars). Stacked parking garages and underground parking tend to be a much more efficient and appropriate way to store cars in a town center. Above ground garages should be wrapped with offices and especially retail uses, and sometimes residences so that they do not have a deadening effect on a street. 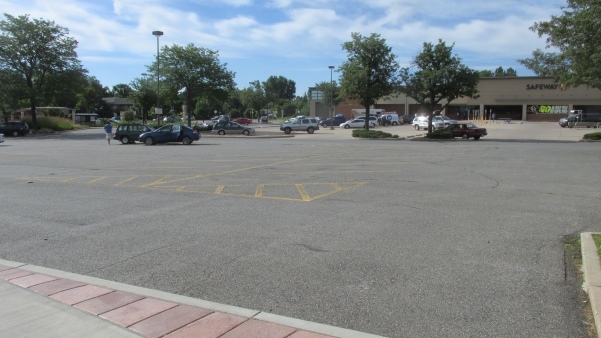 Boulder must also conduct frequent, on-going parking supply and demand assessments to confirm that a perceived parking shortage is really a shortage. Too often, parking garages and parking lots are built even though there is abundant nearby parking capacity. In the decades since cars were introduced, the United States has spent trillions of public dollars to build and widen roads throughout the nation. In the early years, these new or widened roads were often highly beneficial and cost-effective, as they resulted in significant increases in access to many destinations that were previously difficult or impossible to reach by car, even by relatively slow, well-behaved cars. Roads promoted better commerce, more productivity, more ease of travel, more consumer choice, and larger markets. They brought many important life benefits: speed of travel, ease of travel and cargo hauling for enormous distances, personal safety, and protection from weather. But over time, those benefits have been compromised by the weight of harm to city vitality. Widened roads now suffer from a severe form of diminishing returns on investment; that is, widened roads now cost substantially more than the benefits they produce. Each dollar spent on road widening results in less and less economic benefit. The dollars spent on conventional congestion reduction tactics typically do not reduce congestion (due to “induced demand”). Road widening also produces a significant increase in noise pollution and suffers from exponentially growing costs of materials, the cost of construction and repair, and the cost of right-of-way acquisition, all of which have transboundary GHG impacts.Diminishing returns, in addition, are compounded by a loss of travel choice (wider roads are much more difficult for pedestrians, bicyclists and transit users to use), decline of smaller and locally-owned businesses (wider roads promote predatory “Big Box” retailers such as Wal-Mart), loss of civic pride, decline of a town center (wider roads drain the economic and residential lifeblood out of town centers in a downwardly spiraling death sprawl), an increase in traffic injuries and deaths, an increase in air pollution and fuel consumption, increased travel time (due to the sprawl induced by wider roads), and a substantial degradation of community attractiveness and quality of life. Inducing low-value car trips (i.e., using the car to buy a cup of coffee). Increasing toxic air emissions due to the induced low-value trips, despite the conventional wisdom that claims free flow reduces emissions. Convincing the city and residents that it is useful to maintain or increase road and intersection capacity, even on roads and intersections that are too big already. This problem has been common in Boulder for a number of years now. While the city tends to steer clear of road widening, it has approved the construction of double-left turn lanes at many urban intersections (see Gigantism section for more about double left turn lanes). Engineers are particularly eager to create such oversized intersections because enlarging intersections is much more effective in reducing congestion, at least for a brief time, than adding more travel lanes to a road. Reducing trips by bicycle, walking and transit due to the barrier effect. The larger road and intersection dimensions that free flow of high speed cars requires cause enormous discomfort and safety concerns for those who bike, walk, or use transit. This creates a barrier effect that discourages non-car travel and induces artificially high levels of expensive car travel, thereby reducing travel choice, forcing nearly all of us to be car dependent. Inducing high speed car travel, suburban sprawl, and regional car trips. By contrast, healthy town centers are slow speed. Compact, vibrant, sustainable cities avoid sprawl. Putting far too much emphasis on what urban design commentator James Howard Kunstler likes to call happy motoring. Too often, free flowing traffic is inappropriately considered a key way to achieve urban quality of life. However, free flowing traffic, particularly in existing and emerging town centers, undermines quality of life in a number of ways. By putting free flowing traffic on a pedestal, so to speak, or placing such travel in an exalted, privileged position, the city is strongly promoting car travel, and such a car-centric focus is rightly the antithesis of what Boulder is about. Promoting the use of conventional methods of maintaining free flowing traffic, such as intersection widening, which are so costly that other important transportation needs for bicyclists, pedestrians, and transit users are starved of funding. Undermining the health of a city. Healthy cities are characterized by agglomeration economies; compactness; interaction; sharing; a synergistic exchange of ideas, goods, and services; small human- and neighborhood-based scaling; cooperation; and slow speeds. Free flowing car traffic flies in the face of all of this. Such a transportation regime undermines a healthy city by promoting isolation, Big Box retail, privatization, sprawling dispersal of land uses, high levels of energy consumption, high levels of air emissions, and car dependency. An iron law of car traffic is that you cannot build your way out of congestion. Anthony Downs explains why this is true when he describes what he calls the triple convergence. This principle shows us that it is impossible to eliminate congestion by widening roads or intersections, because three things inevitably happen when we widen: many travelers who were formerly using an alternative route to avoid a congested road now converge back on the road because it has (briefly) become less congested; many travelers formerly avoiding driving at rush hour now converge back on rush hour because it has (briefly) become less congested at rush hour; and thirdly and inevitably, many travelers converge back to car travel because the widening makes it easier to travel by car and more difficult to travel by walking, bicycling or transit. In effect, widening roads and intersections fails to eliminate congestion and usually worsens congestion because it induces new car trips that would not have occurred had the road or intersection not been widened. The Congestion Paradox. Almost every change in behavior that a citizen engages in when responding to traffic congestion—such as avoiding rush hour driving, living closer to daily destinations, driving slower, traveling on non-major streets, trip chaining (combining, say, a trip to get groceries with a trip to the doctor), foregoing low-value car trips—is good for the community. By contrast, many (most?) actions a government agency takes when responding to traffic congestion—such as widening a road or intersection, downzoning in a town center, adding more free parking, synchronizing traffic signals for car speeds, converting a two-way street to one-way—are undesirable for the community. As an aside, if signal lights are to be synchronized, they should be based on the speed of buses and bikes, rather than cars. This method is used in Portland, Oregon, and strongly supported by participants at the 2013 Walk Bike Summit in Boulder. Because cars consume so much space, only a relatively small number of motorists are needed to congest a road. That means that any reasonably attractive city has a traffic congestion “problem,” and any city without a congestion “problem” is probably a car-centric city. By far the most effective, progressive way to manage congestion is to develop ways to avoid it, not to try to somehow reduce it or stop it from increasing, which is an enormously costly tactic that quickly leads to worse congestion. A sustainable, smart city addresses congestion, therefore, by providing travel choices (bike paths, sidewalks, transit), by providing housing near destinations such as jobs, by providing routes optimized by pricing, and by providing a connected street system so that congested streets can be avoided and car trips more dispersed on multiple streets, rather than burdening one or a few major streets. “Parking Requirements and Housing Development: Regulation and Reform in Los Angeles,” by Michael Manville. Access Magazine. Spring 2014, #44, pg. 2. Research at the University of California Transportation Center. Shoup, Donald C. (2005). The High Cost of Free Parking. Planners Press, American Planning Association. These costs can average about $15,000 per space for structured parking, hundreds of dollars per space for surface parking, in addition to hundreds of dollars per space for maintenance. See “Transportation Cost and Benefit Analysis Techniques, Estimates and Implications[Second Edition],” “Parking,” Sec. 5.4. Victorian Transport Policy Institute. January 2009. Such as a smaller land area covered with asphalt parking, lower air emissions, less travel by car, less noise pollution, less stormwater pollution, less sprawl, better agglomeration and exchange in existing and emerging town centers, better affordability, and more compact and walkable proximity. To address air pollution targets and other quality of life objectives, Portland, Oregon set a maximum cap on the overall number of downtown parking spaces from 1975 until 1995. Cashout parking is a situation where an employer offers employees a choice: Either keep their employer-provided parking at the work site, or accept compensation (a free bus pass, higher salary, cash for a bicycle, etc.) in exchange for the parking. Cashout has resulted in a large number of employees opting not to drive to work. Metropolitan Transit Development Board. (1993). “Designing for Transit.” San Diego CA. July 1993. Planners Advisory Service. (1996). Creating Transit-Supportive Land Use Regulations. #468, pg. 15. See also: Washington State Energy Office. (1994). Municipal Strategies to Increase Pedestrian Travel. Olympia WA, pg. 16. See, for example, Marlon G. Boarnet and Andrew F. Haughwout (2000), Do Highways Matter? Evidence and Policy Implications of Highways’ Influence on Metropolitan Development, Brooking (www.brookings.edu); http://streetsblog.net/2013/01/10/the-diminishing-returns-of-highway-building/; http://www.strongtowns.org/journal/2011/4/4/mobilitys-diminishing-returns.html; http://www.nytimes.com/2004/05/20/business/20scene.html. Ramaswami, Anu. 2013. “Understanding Urban Infrastructure-Related Greenhouse Gas Emissions and Key Mitigation Strategies”. Infrastructure and Land Policies, eds. Ingram, Gregory K. and Karin L. Brandt. Cambridge, MA: Lincoln Institute of Land Policy.